Well, three if you count Hitchhiker's Guide to the Galaxy. 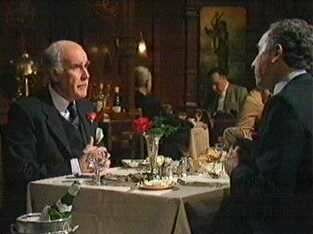 But if you recall from Yes, Prime Minister, Sir Desmond Glazebrook, played by Richard Vernon, eventually is promoted to be the chairman of the Bank of England. Well I got the James Bond films on DVD as a gift last month, and watching them this evening who do I find played chairman of the Bank of England in Goldfinger? Why if it isn't a much younger Richard Vernon. Slartibartfast would have been proud.